like Rory sells. 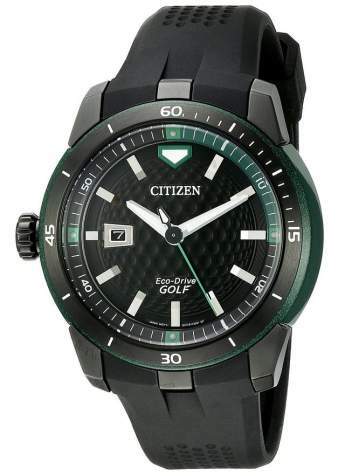 This Citizen Ecodrive Golf Watch may be in the budget, though. Priced on Amazon at $221, it has a golf ball styled face and green highlights. Note that the stem on this right-handed watch points away from the hand, preventing bruising from a cupped wrist.